INVESTORS, REHABBERS AND BARGAIN HUNTERS!! 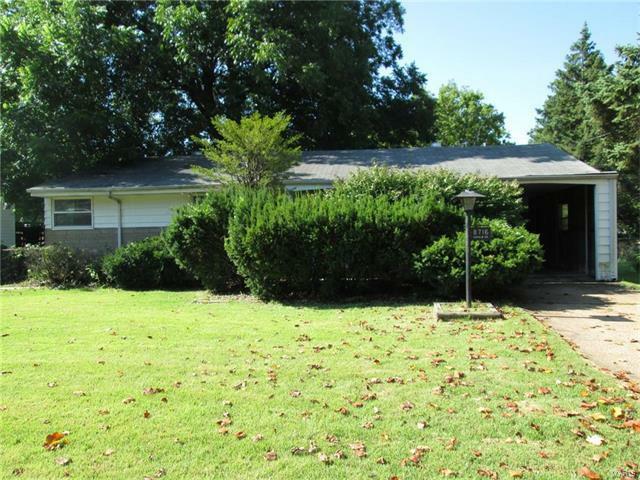 Check out this Ranch Home with 2 Beds and 1 bath in need of some TLC. Great opportunity to make it your own with your imagination and great ideas. PROPERTY BEING SOLD AS IS. Partially finished basement. Covered carport parking. Large fenced in back yard. Property was built prior to 1978 and lead based paint may potentially exist. Possible discoloration exists. All parties must sign a Hold Harmless Agreement and the property will be shown by appointment only. Please allow 4 hour response time from the listing broker once your hold harmless agreement has been sent. I-170 N to Natural Bridge Rd. Left onto Natural Bridge Rd. Left onto McKibbon Rd. Right onto Harold Dr. House is on the right.